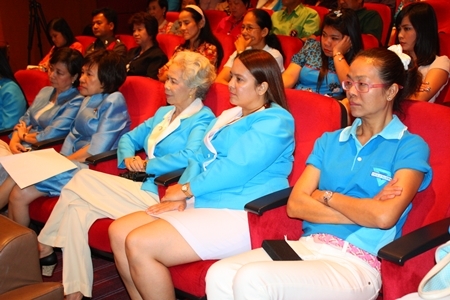 The YWCA Bangkok-Pattaya Center will open an emergency shelter for abused women while they pursue legal action and await permanent relocation. YWCA Chairwoman Praichit Jetpai announced the Nov. 1 opening of the shelter on Soi Town & Town at a press conference with police and social workers Oct. 25. The building can accommodate only 10 women at a time, who can stay a maximum 90 days. Praichit said the shelter, which will have its grand opening ceremony Dec. 12, was begun due to a desire to help women and children who have become victims, cast aside by society and have turned to crime to make ends meet after physical and mental abuse. Benefactors and relevant officials gather for a commemorative photo after the press conference at City Hall. She said Chonburi Public Health Office reports that 95 percent of women seeing help since 1991 reported being abused, with 81 percent of those seeking help claiming sexual abuse. The shelter will allow women to live in an environment protected by police as they pursue legal action against their abusers or while police investigations remain ongoing. After 90 days, women will need to find permanent shelter placement or other living arrangements. Praichit also announced that the shelter project received financial donations of 30,000 baht from Pattaya Mayor Itthiphol Kunplome, 70,000 baht from William Macey representing the Pattaya Sports Club, followed by Elfi Seitz from Pattaya Blatt with 44,400 from her birthday party and 80,000 from Reinhard Gander, an Austrian friend of Elfi’s. Some of the members of YWCA also donated some more money. 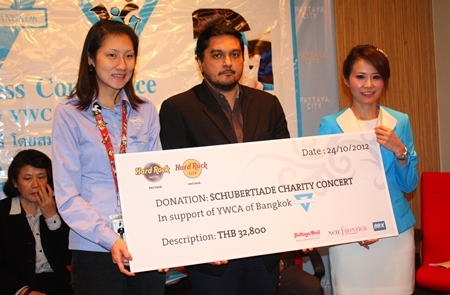 32,800 baht raised at the Shubertiade concert held on August 30 at the Hard Rock Pattaya was also donated to the YWCA to be used for the center during a press conference a day earlier, on Oct. 24. 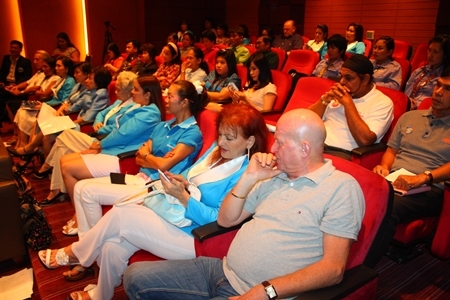 Sponsors of that event included New Frontier Music Academy, Acorn Distribution and Pattaya Mail.